Ex-Christadelphians: From the Berea-Portal team - The Bible's full of exageration! From the Berea-Portal team - The Bible's full of exageration! The Central Fellowship Christadelphian Berea-Portal team have taken an axe to more Scripture; this time striking at the heart of Christadelphian understanding of the books of Joshua and Judges. In an article at Berea, (click here for source, or read it in full at the end of this article) B-P admin Ken Gilmore has abruptly dismissed much of the books of Joshua, Judges and part of 1 Samuel as being not true. "the Israelites attacked (the Canaanites) and defeated them. In memorialising these battles, hyperbolic language was used." What does he mean by "hyperbolic language"? He means that when the Bible repeatedly reports the wholesale extermination of the Canaanites by Joshua and the Israelites (for example in Joshua chapters 10 & 11) nothing of the sort happened - It was NOT true; the Bible writer was using hyperbole to exaggerate the story. He was making it up. He was telling lies. What he wrote was false. God's supposedly "inspired word" is lying to us. "The references in Joshua 10 and 11 to the extermination of the Canaanites pose a problem for believers ...........There is a problem arising from the fact that in the later chapters of Joshua and the early chapters of Judges, we see clear Biblical evidence that far from being wiped off the face of the Earth, the Canaanites were in fact alive and providing considerable opposition to the Israelites." Of course Ken is right; there is a substantial contradiction in the text. And to make it even worse, two different Scripture writers wrote the two contradicting accounts. 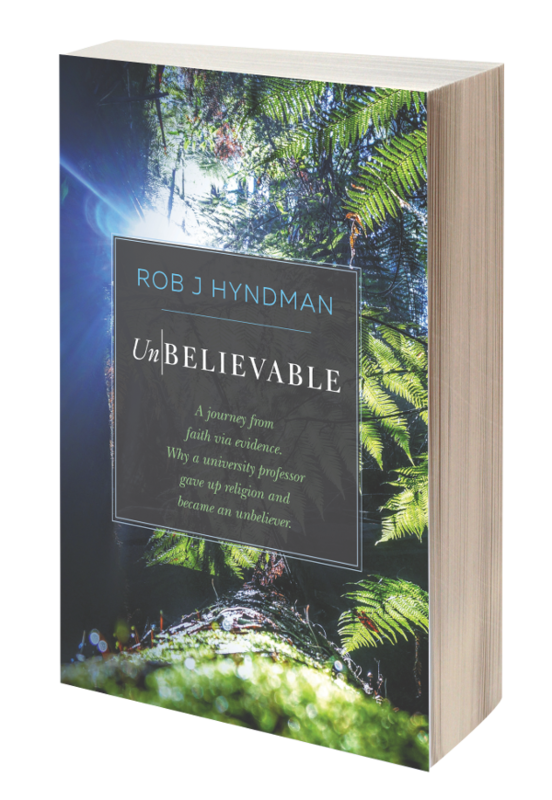 - But how wonderful that a Christadelphian writer has the common sense and the nerve to state that the answer to the contradiction is that one of the two writers was lying - he was using "hyperbolic language." "One cannot help but recall the taunt “Saul has slain his thousands, and David his ten thousands” and realise that it is quite likely that the ancient Hebrews also employed hyperbole." - Did you get that? Christadelphian Ken Gilmore just blew up 1 Samuel 18:7. He thinks that's also "hyperbole"! What else in the Bible does he think is hyperbole? If Joshua, Judges and Samuel are "hyperbole" what more in the Bible is invented nonsense? Read the Berea blog by clicking here and see what other parts of the Bible they "reinterpret" because they are not true. That the book currently known as the Bible, consisting of the Scriptures of Moses, the prophets, and the apostles, is the only source of knowledge concerning God and His purposes at present extant or available in the earth, and that the same were wholly given by inspiration of God in the writers, and are consequently without error in all parts of them, except such as may be due to errors of transcription or translation". - No mention here of "Hyperbole" and exaggeration! I urge all Christadelphians who are having doubts about their faith to read both the BEREA blog and also Berea-Portal forum. There you can watch highly intelligent and academically minded Christadelphians (who are still in fellowship) tear the Bible to pieces; denying large sections of its literal truth as they frantically struggle to explain away Bible nonsense. There you will be told by your own in-fellowship brethren that the creation account in Genesis is not literal, the talking snake never happened, Evolution is true, humans are descended from a common ancestor with the Chimp, Noah's flood was not global, the Sun did not stand still while Joshua slew the five kings, the Old Testament is riddled with hyperbole and even the Matthew 27: 53 story of hundreds of people being raised from the dead at the resurrection of Christ, is not literally true. So fervent are those Berea-Portal brethren in denying the literal truth of sections of the Bible that they mock their own brethren and sisters for being "Literalists" and "Fundamentalists" in accepting the Foundation clause in the Christadelphian Statement of Faith as being literally true. On his Facebook page, Berea-Portal admin Ken Gilmore calls Young Earth Creationist Christadelphians "Asinine" for believing in the literal truth of the Genesis account. So how about that my Christadelphian brethren and sisters? The B-Ps think that much of the Bible is not literally true and the rest is hyperbole. They call you "Asinine" for believing mainstream Christadelphian teaching! - What a wonderful religion you have! The references in Joshua 10 and 11 to the extermination of the Canaanites pose a problem for believers, and not just because they are used by atheists to justify their assertion that the God of the OT is a “tribal, vicious, genocidal deity” that no civilised person should respect, much less worship. There is a problem arising from the fact that in the later chapters of Joshua and the early chapters of Judges, we see clear Biblical evidence that far from being wiped off the face of the Earth, the Canaanites were in fact alive and providing considerable opposition to the Israelites. While some Biblical contradictions are the product of a tendentious reading of the text that ignores context and genre, a literal reading of Joshua 10-11 stands in marked tension with the later chapters of Joshua and Judges. This tension in the text itself, let alone the moral problem of exterminating innocent children, is one which requires attention. Then Joshua and all Israel with him passed on from Makkedah to Libnah, and fought against Libnah. The LORD gave it also with its king into the hands of Israel, and he struck it and every person who was in it with the edge of the sword. He left no survivor in it. Thus he did to its king just as he had done to the king of Jericho. And Joshua and all Israel with him passed on from Libnah to Lachish, and they camped by it and fought against it. The LORD gave Lachish into the hands of Israel; and he captured it on the second day, and struck it and every person who was in it with the edge of the sword, according to all that he had done to Libnah. Then Horam king of Gezer came up to help Lachish, and Joshua defeated him and his people until he had left him no survivor. And Joshua and all Israel with him passed on from Lachish to Eglon, and they camped by it and fought against it. They captured it on that day and struck it with the edge of the sword; and he utterly destroyed that day every person who was in it, according to all that he had done to Lachish. Josh 15:63 – Now as for the Jebusites, the inhabitants of Jerusalem, the sons of Judah could not drive them out; so the Jebusites live with the sons of Judah at Jerusalem until this day. Josh 16:10 – But they did not drive out the Canaanites who lived in Gezer, so the Canaanites live in the midst of Ephraim to this day, and they became forced laborers. In short, the areas of Canaan which Joshua 10-11 state had been left with no survivors were very much filled with Canaanites. A literal reading of Josh 10-11 leaves one with the moral question of whether utter extermination of the Canaanites is indeed genocide, while the later passages in Joshua and Judges when read as narrative appear to contradict Josh 10-11. The presence of hyperbolic elements in the Bible is hardly a new idea in the history of OT interpretation. Another perennial problem in the OT is that of the impossibly large numbers of soldiers killed in battle. A solution to which I have previously been attracted is reading the Hebrew word for ‘thousand’ as ‘unit’ or ‘division’, but this is impossible to do consistently as elsewhere it does mean 1000, and one can easily be accused of lexicographic massaging in order to eliminate a problem. and let it go out. Let the mightiest army be provisioned. Yea, let a multitude go out. One cannot help but recall the taunt “Saul has slain his thousands, and David his ten thousands” and realise that it is quite likely that the ancient Hebrews also employed hyperbole. Some examples will illustrate this. The Merneptah Stele states “Yanoam was made nonexistent; Israel is laid waste, its seed is not.” here the Egyptian Pharoh Merneptah describes a skirmish with Israel in which his armies prevailed, hyperbolically, in terms of the total annihilation of Israel. The Assyrian king Sennacherib uses similar hyperbole, “The soldiers of Hirimme, dangerous enemies, I cut down with the sword; and not one escaped.” Mursili II records making “Mt. Asharpaya empty (of humanity)” and the “mountains of Tarikarimu empty (of humanity).” Similarly, The Bulletin of Ramses II, an historical narrative of Egyptian military campaigns into Syria, narrates Egypt’s considerably less than decisive victory at the battle of Kadesh with the rhetoric, “His majesty slew the entire force of the wretched foe from Hatti, together with his great chiefs and all his brothers, as well as all the chiefs of all the countries that had come with him” [Emphasis added]. The examples could be multiplied but the point is that such language was hyperbolic and not intended to be taken literally . · God commanded the Israelites to evict the Canaanites from the land which according to the Bible had been promised to Abraham centuries earlier. · The Israelites attacked them and defeated them. In memorialising these battles, hyperbolic language was used. · However, they did not complete the task – as the later chapters indicate, the Canaanites were still present and in fact Israel was chided for not prosecuting the task. If one accepts the hyperbole thesis (and there is independent support for this in the evidence of hyperbolic use of number in the ANE), then the tension between Joshua 10-11 and the remainder of Joshua and the first chapters of Judges is considerably eased, with the rhetoric of elimination seen less as a ‘war crime’, and more as ANE hyperbole.